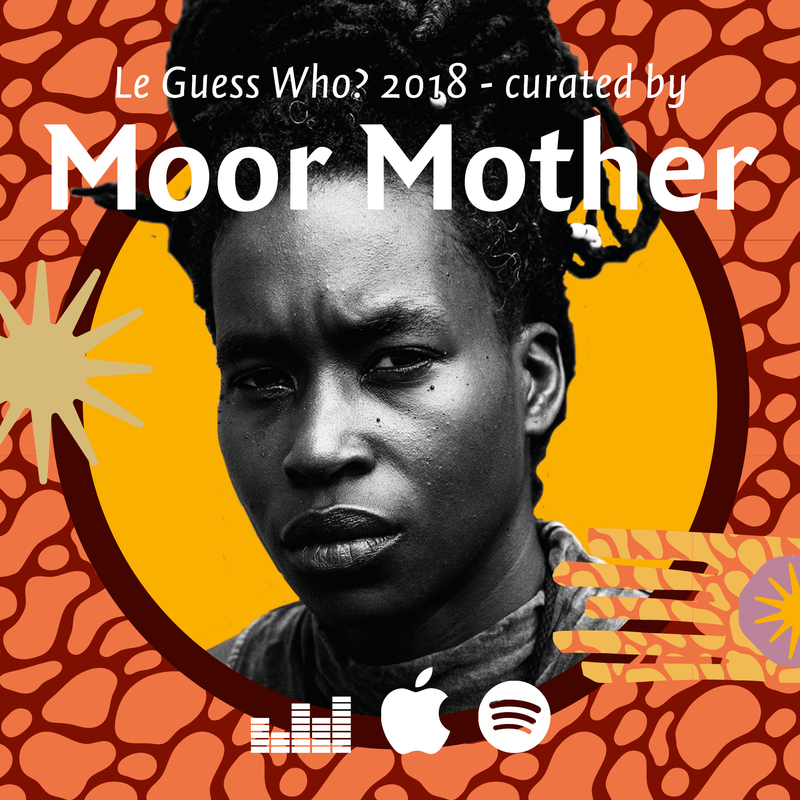 Moor Mother's Camae Ayewa has put together her own playlist as an introduction to her curated program at Le Guess Who? 2018, with some of her favorite tracks of each artist. Hosting several of her inspirations and like-minded artists, Camae describes her focus for Le Guess Who? as: "musicians being free, breaking their own pressure points or so-called limitations and just being authentic. That was the thread that I wanted to have running through the curation." The Wire has premiered Moor Mother's playlist, which features a.o. Art Ensemble of Chicago, Irreversible Entanglements feat. Pat Thomas, RP Boo, GAIKA, Nicole Mitchell, Emel Mathlouthi, Pan Daijing, Islam Chipsy & EEK, Maria Chavez, Eartheater, Beverly Glenn-Copeland, 700 Bliss, and more. Listen to Moor Mother's personal playlist here via The Wire, or stream on Spotify below. It's also available via Deezer or Apple Music.